Last week Floss Dental was invited to attend the Australian launch of Philips Sonicare‘s new “AirFloss” product. 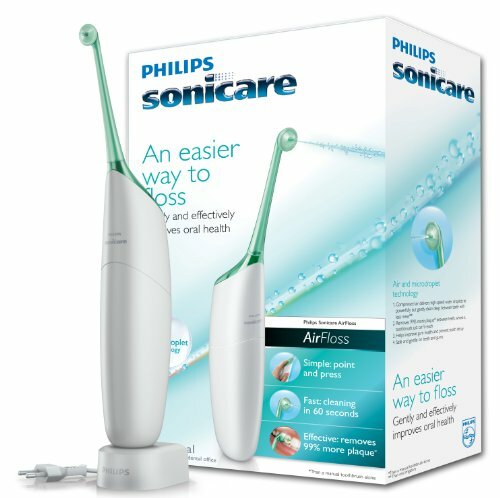 The Philips Sonicare AirFloss in a great new product that uses micro-burst technology to force pressurized air and water droplets in between teeth, mechanically removing plaque. It is specifically designed to break down and remove plaque between teeth and under the gumline. AirFloss prides itself in eliminating the mess and fuss that comes with traditional flossing. People who don’t like to floss manually. Those with multiple implants or bridges to clean those difficult to reach areas. Patients with orthodontic appliances (braces). We have been trialing the product in our surgery, and think it’s great. We love the AirFloss. If you are interested in taking a look at it, or finding out more please drop by our clinic at 86 Mountain St, Broadway NSW 2007.